Children with mild symptoms have obvious impairments as a result of their PANDAS symptomatology, but these are limited to certain situations or settings. For example, the child might need a parent to stay with him as he falls asleep, but he is able to attend school or go to a friend’s house (perhaps with frequent phone calls for reassurance). The obsessive-compulsive symptoms take up only 1 to 2 hours of the child’s day and do not cause overwhelming obsessional fears. The symptoms may cause minor disruptions at home and in school, but these are manageable with reasonable accommodations. Overall symptom severity is in the “troubled but tolerable” range. Treatment of mild illness may include: antibiotics, corticosteroids, anti-inflammatories, or tincture of time. Antibiotics may prove helpful as a treatment option for mild to moderate cases. 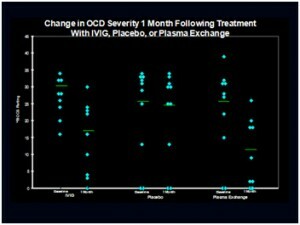 An early study by Marie Murphy, Mike Pichichero, and others showed that prompt treatment with antibiotics eradicated OCD symptoms in 8 of 12 children presenting with PANDAS. When given within 1–3 days of symptom onset, oral corticosteroids bursts can have dramatic benefits. Oral corticosteroid bursts may hasten recovery and minimize residual symptoms. If symptoms continue beyond 2 weeks, oral nonsteroidal anti-inflammatory drugs (NSAIDs) such as ibuprofen or naproxen may be beneficial. PANDAS (like Sydenham chorea) is a semi-acute illness, which means that symptoms can disappear over a period of weeks to months without any intervention. For this reason, “Tincture of time” might be an appropriate therapy for children in the mild to moderate severity range. Since the child could recover on his own, any treatments used to hasten the process must not carry significant risks. Because of this, IVIG and plasmapheresis are not deemed appropriate treatments for children with mild to moderate symptoms. Both IVIG and plasmapheresis are “invasive” procedures which carry a number of associated risks. (Please see PPN Treatment Options: IVIG). Children with moderately severe symptoms of PANDAS have significant anxiety and OCD which occupies 50% to 70% of their waking hours and causes significant interference with daily activities, but does not overwhelm them continuously. The rituals or separation anxiety may prevent the child from attending school, but he would be able to go to visit his grandparents (if parent is along) or have friends come over for brief periods. The ancillary symptoms are similarly impairing, but do not incapacitate the child. Immunomodulatory therapy is justified in such cases to relieve suffering and hasten recovery. Intravenous immunoglobulin (IVIG) is likely to be the preferred therapy for moderately severe to severe cases. As with a mild form of PANDAS/PANS, corticosteroids and NSAIDs may be beneficial, especially when implemented in the earlier stages of symptom onset. A positive response to steroids is a good indication that IVIG therapy will be helpful; however, a tepid response is not a predictor of IVIG failure. 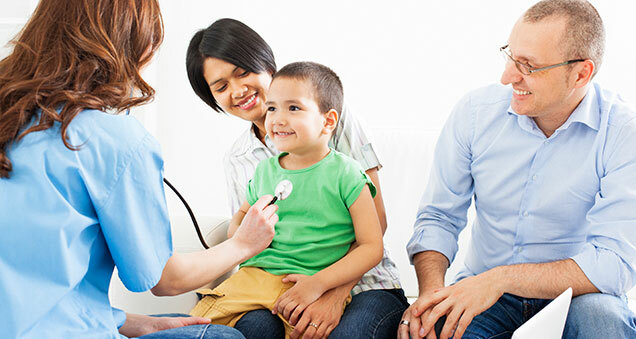 Antibiotics are also useful in the treatment of moderately ill children. As discussed below, antibiotics should be prescribed at “treatment level” dosages for 2 to 4 weeks to eradicate occult infections (e.g. sinusitis) before the dosage is reduced to a prophylactic level. Anecdotal reports suggest that antibiotics may be sufficient to produce remission of PANDAS symptoms within 2 to 3 weeks, so antibiotics should be tried before initiating IVIG or other immunomodulatory therapy. Prophylactic antibiotics are often useful in the management of PANDAS, as they help to prevent strep-triggered exacerbations. Cognitive behavior therapy should be started as soon as the child can tolerate it. In the interim, the child and parent should receive supportive therapy, including education about the “dos and don’ts” of managing OCD and separation anxiety. For example, as described above, parents will want to resist accommodating their child’s OCD, as their efforts may provide short-term anxiety relief, but it comes at the expense of longer-term increase in symptoms (due to the “rational irrationality” of OCD). Extremely severe cases are defined as those in which the neuropsychiatric symptoms have life-threatening consequences. For example, children with significant weight loss (>10-15% of body mass) due to anorexia or obsessional food/eating restrictions related to fear of contamination, fear of choking or vomiting and others; children with extreme impulsivity (and behavioral regression), such as the child who attempts to jump off a roof because he thinks he can fly; or children with suicidal ideation or self-injurious behavior, e.g., trying to jump from a moving car or threatening self or others with knives or fire. In these cases, the child’s health and well-being is threatened by the PANDAS symptoms and aggressive treatment is warranted. Children with severe symptoms of PANDAS are suffering from extreme anxiety (separation or generalized) and obsessional fears that occupy 80% to 100% of their waking hours or more. The OCD symptoms prevent the child from attending school, playing with friends/alone, and accomplishing tasks, such as showering or toileting. Because of the separation anxiety, the child is reluctant to leave the house and sticks closely to his parents – following them into the bathroom and insisting on sleeping in the parents’ bed (or having the parent sleep in his). In addition to the OCD and anxiety symptoms, the child may have extreme irritability, increased aggression and emotional lability, and a dramatic personality change. The treatment options listed for mild to moderate illness may be considered for patients experiencing an extreme form of PANDAS/PANS. In addition, plasmapheresis might be the first-line treatment for severe illness because it has been shown to produce the greatest degree of symptom improvement over the shortest period of time. 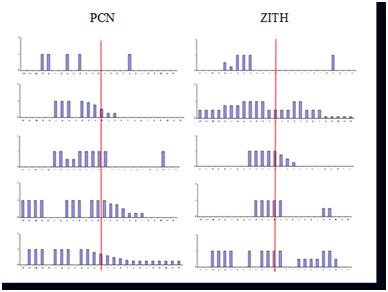 Most patients with PANDAS/PANS remit with appropriate treatment. For a few children, the clinical course may evolve to become a chronic autoimmune condition. For such cases, more aggressive treatment may be warranted. For patients who no longer respond to the PANDAS/PANS treatments, the focus may need to shift to a rehabilitation mode. There have been no long-term studies of PANDAS patients. However, clinicians who treated PANDAS patients when they were children and are now young adults report that their treated patients are highly functioning and, in many cases, without any or significant OCD, tics, and comorbid symptoms. Many of the original patients of NIH are now 15 to 20 years older and are healthy. Others have also remained symptom-free, although when infected with a pathogen, especially Group A strep, must use antibiotics to control the flare-up periods. ► Systemic abnormalities of chemokines or cytokines, with resultant disruption of CNS functions. The hypotheses are based on the disease mechanisms proposed for Sydenham chorea (SC), the neurologic manifestation of rheumatic fever, and clinical observations demonstrating that obsessive-compulsive symptoms (OCD) appear in about two-thirds of SC patients. The OCD symptoms of SC patients begin 2 to 4 weeks before the onset of the chorea, suggesting that OCD might be a forme fruste of Sydenham chorea. 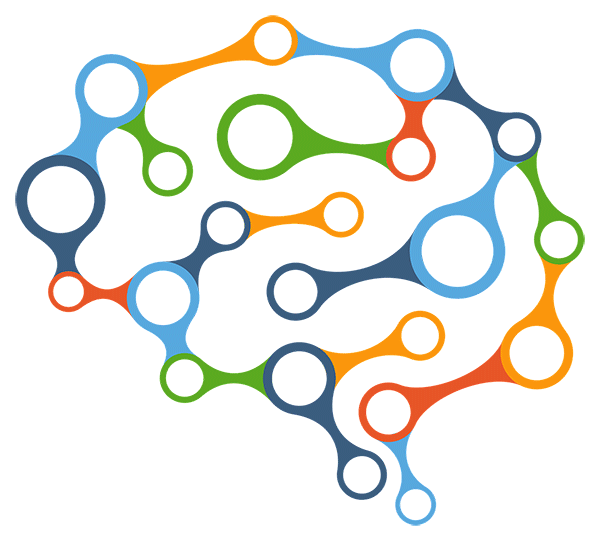 A trial of immunomodulatory therapies for Sydenham chorea demonstrated benefits not only for the choreoathetoid movements, but also the OCD symptoms. 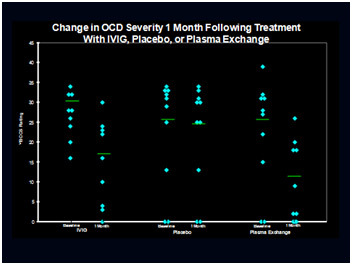 Improvements were seen with plasmapheresis (5 single-volume exchanges over 8 to 10 days); intravenous immunoglobulin (IVIG at 1 gm/kg x 2 days); or prednisone treatment (21-day course of immunosuppressive doses, with taper).